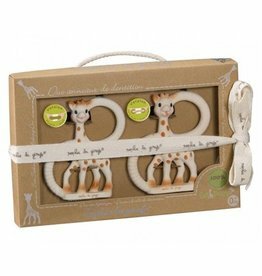 Baby rattles & clutching toys, from wood to fabric. - Vancouver's Best Baby & Kids Store: Unique Gifts, Toys, Clothing, Shoes, Cloth Diapers, Registries. Rubber Sensory Ball Rainbow 4"